The coming together of two artistic heavyweights in Birmingham is always a special event to savour - but it was even more spectacular in the beautiful, historic surroundings of Birmingham Cathedral. The Royal Ballet Sinfonia and Birmingham Cathedral Choir joined forces to perform two classics - Requiem and Gustav Mahler's Fourth Symphony. 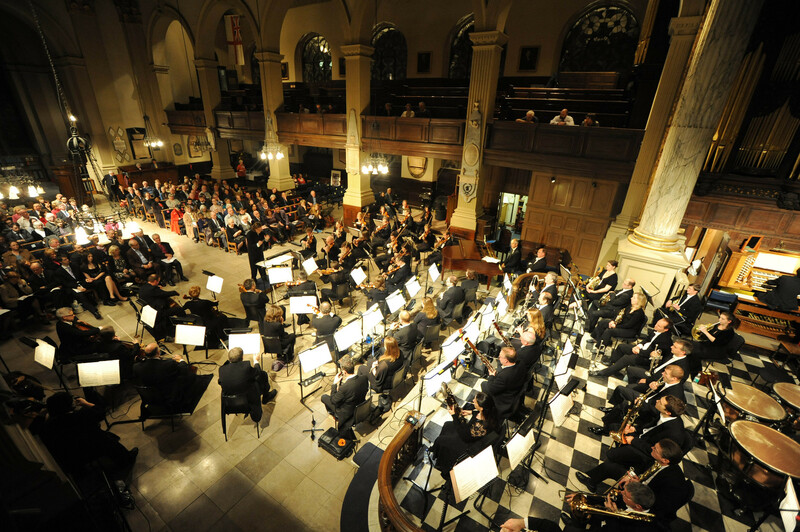 For one night only this year at St Philip's Cathedral, on November 21, it was a match made in heaven. The first half of the night belonged to Birmingham Cathedral Choir; a talented group of singers of all ages who have just returned from performing in Paris. With Birmingham Royal Ballet Sinfonia providing the musical accompaniment, the rapturous sections of Gabriel Faure's Requiem echoed around the huge pillars in this grand setting. Pie Jesu, in particular, was serene and calming, while Agnus Dei and Libera me were dramatic. Solo baritone David Wigy was a delight. The second half gave the orchestra a chance to shine centre-stage (instead of hidden in the pit during ballet performances) with the Fourth Symphony - another serene piece of classical music that was ideal for this age-old, peaceful setting in the heart of Birmingham. The crescendo of sound raised to intense levels at the height of this emotive symphony, emphatically conducted by Koen Kessels. It was the final icing on the cake when soprano Ilse Eerens joined the musicians to bring the symphony to a peaceful close. This is the third time that Birmingham Royal Ballet's Sinfonia has performed in the cathedral and it is becoming one of the highlights of the winter season. It was simply a heavenly night of choral music. 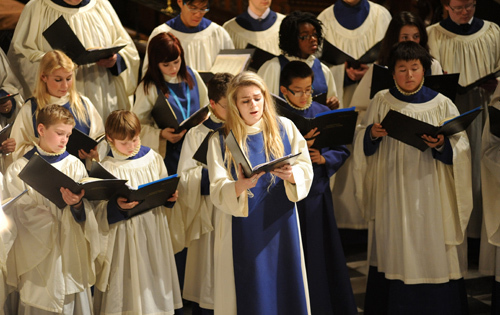 Birmingham Cathedral Choir performs evensong at the cathedral every Sunday.at 3.30pm.